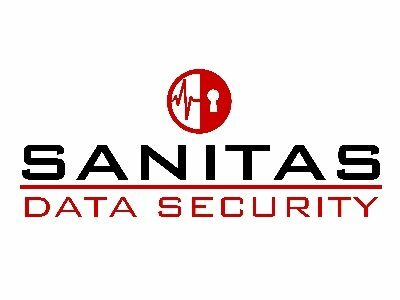 Sanitas Data Security Ltd is a Preston-based information security company. We provide Consultancy, Training and Penetration Testing services across Lancashire and the North West. If you have intellectual property that means your product, service or processes give you a competitive advantage then you need to protect it. If your customers share their sensitive information with you, then how do you assure them that you will keep it safe? If you handle Personal Sensitive Information then you will have legal and regulatory requirements to keep that safe. The financial penalties and reputational damage of suffering a data breach can be devastating and SMEs are less resilient to these kind of impacts. They are also increasingly the target of attacks as the larger companies become more secure. Not everyone is the same, which is why we take a risk-based approach to ensure that you understand the risks and manage the means to protect against them in a way that is appropriate to you and cost effective. We can also help you achieve accreditations that will give access to markets and larger contracts e.g. ISO27001. Most of our best contracts and bid opportunities have come through personal introductions and people only introduce you, if they know you and trust you. There are many different ways of networking so get yourself out there and see what suits you best. There is a thriving small business sector in Lancashire and plenty of support available. We have ourselves benefited from mentoring programmes, grants and had assistance from our local universities both Lancaster and UCLAN. There are also a number of thriving business sectors in our target markets from Aerospace and Defence, Automotive, Energy, Healthcare and Professional Services. As a small and growing business ourselves we want to pass on our lessons learned to others in the pre-startup/startup stage and also network and learn from those who have managed their way through the sort of issues we face now. We are passionate in our belief that those companies that protect their own and their customers’ sensitive information will be the ones that thrive in this digital, internet enabled world and we want to help them do that with Boost.